Melanie Ortanez is a personal trainer/coach, a former Physical Therapy Assistant, and an aspiring Doctor of Physical Therapy (Sports Medicine). She is a powerlifting competitor and a bodybuilding National Physique Competitor (Women’s Physique). Melanie also loves being outdoors; camping, hiking, backpacking, bouldering, and enjoying all outdoor adventure sport activities. 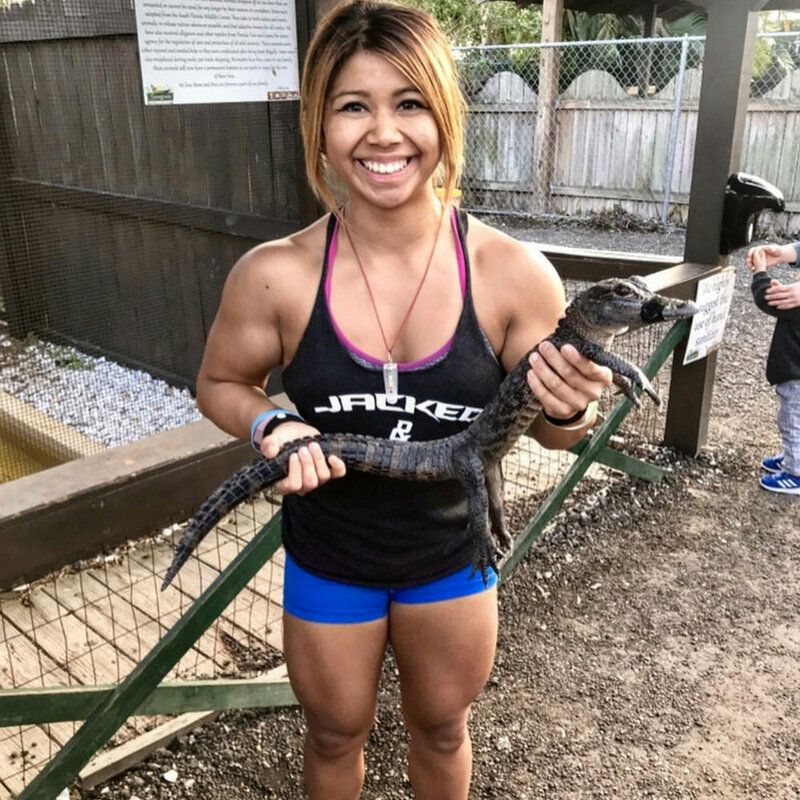 Melanie’s powerlifting class is focused primarily on instructing and improving strength and execution of the big three lifts: squat, bench, and deadlift, along with accessory work. The focus is on building strength in all three of the lifts. These compound movements provide the foundation to improve strength, maximize performance, and improve quality of life for all individuals and athletes. Melanie will teach proper movement patterns in a safe and progressive manner, focusing on hip hinge, pushing motions, and squatting motions. Programming varies on a weekly basis and is done for the class as a whole, with the exception of necessary modifications for individual athletes. Please arrive 10 minutes early to warm up, mobilize, and gear up before class. In each class athletes can expect to squat, deadlift, bench, and perform upper & lower body accessory work and core strengthening exercises. If you lift in wraps, knee sleeves, lifting shoes and/or wear a belt, please feel free to bring this equipment with you.